I bought E-S920 for Sanyo TV LCD LED and HDTV remote. Please help how to program which is not directly functioning to my tv. When I’m following the directions and I press the tv button it lights up but it doesn’t flash. If I push a number them it flashes. It’s a Sanyo tv and a RCA remote. Thanks a lot you got my TV working and it was very simple to follow. I have a Sanyo TV/DVD player model # DP32670 and I cannot find the universal remote code for it. I have a Magnavox TV and I want to program it to a Sanyo DVD player, how would I do that? If you are trying to use your Magnavox TV remote to control your Sanyo DVD player… You will first need the codes for your Sanyo DVD player. Codes for Sanyo DVD player are: 0670, 0695, 0790, 0873, 0896. Press and hold the Code Search button until the red indicator stays on. Release the Code Search button. Press and release the desired mode button (DVD). Enter the 3 or 4 digit code. Note: after a valid code entry, the red indicator turns off. For an invalid code, the red indicator flashes. With your device on, press CHANNEL Up. If the device responds, no further programming is required. Note: If some buttons do not operate your equipment, try one of the other codes for your brand. My TV is a very old, but stilling good work. I need a new Sanyo remote, but I dont know what code. How much? You can get a Sanyo TV remote control here. 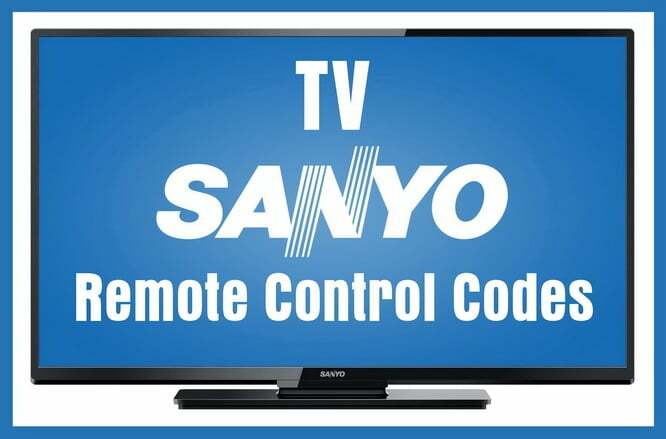 Codes for Sanyo TV remote controls are 054, 069, 023, 025. If those do not work then also try: 004, 013, 049, 108, 110, 180, 209. How to program Sanyo remote RMT-U220 TO MY INSIGNIA TV?